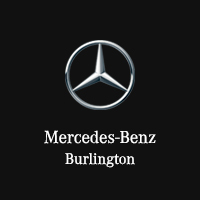 Are you a Milton driver in need of a large yet luxurious van to haul your cargo? The 2016 Mercedes-Benz Sprinter 2500 Cargo Van is the way to go, and it’s on sale now at Mercedes-Benz Burlington. Explore our inventory to pick out a model that meets your needs, and then contact our team to arrange a test drive and get the financing process started. This van is ready to get the job done, and then some. Finding a van that will adequately accommodate all your needs while on the job is no easy feat, but now that you’ve located the 2016 Mercedes-Benz Sprinter 2500 Cargo Van, your search is over. Powered by a 2.1L inline-4 engine, the Sprinter 2500 generates a confident 161 hp and 265 lb-ft of torque. Plus, there are various package options that you can tack on to enhance you storage capabilities. All of this can be yours when you select a 2016 Mercedes-Benz Sprinter 2500 Cargo Van model from Mercedes-Benz Burlington.